Please check the school voicemail for inquires on available spaces throughout the school year. Please inquire about our duty/participating spots if interested in helping out in the classroom. Duty parents are compensated for their time in the classroom. Duty parents are essential for our program to run, it is a unique experience! All families, with the exception of those parents sitting on the Board of Executives, are required to participate on one operating committee and one special event committee for every child registered. If Parents are interested in serving on the Board of Executives, they should contact the school as soon as possible. Registration for the 2019-2020 school year will open to the community March 5th, 2019. Muppets families past and present can pre-register for the next school year starting February 12-28, 2019. To reserve a space for your child please submit your complete registration package including all cheques and the non-refundable registration fee by March 31st, 2019. *Please date the non-refundable registration fee with the current date. **The first payment cheque must be dated for August 15th (which covers September). All 9 subsequent cheques, October-June must be dated the 1st of each month. 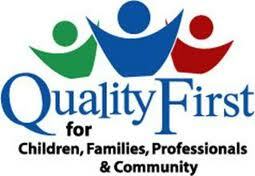 The participating duty parent may be the enrolled child’s parent, grandparent, legal guardian or consistent caregiver. All duty persons are required to supply a current Police Reference Check (with Vulnerable Sector Screening) prior to performing their duty days. NEW! All duty parents are required to have First Aid CPR-C training. Please contact the school for more details. All Immunization information and a police check (or receipt) are due by the first General Meeting. Statement of Immunization for Entry into Child Care form is available for pick up at Muppets or the Halton Region Health Department. Immunizations can be completed and reported online. Visit halton.ca/immunize to update your child’s records. In order for your child to begin at Muppets in September, all information required on all forms must be completed before submitting to the Registrar. Incomplete forms and payment may result in the loss of your child’s place at Muppets. For more information about the school’s policies and procedures, please read the parent handbook.